This book is my most ambitious project to date. I've been working on it for several years. It's been 'completed' lots of times, only to have me go back and edit and re-write. 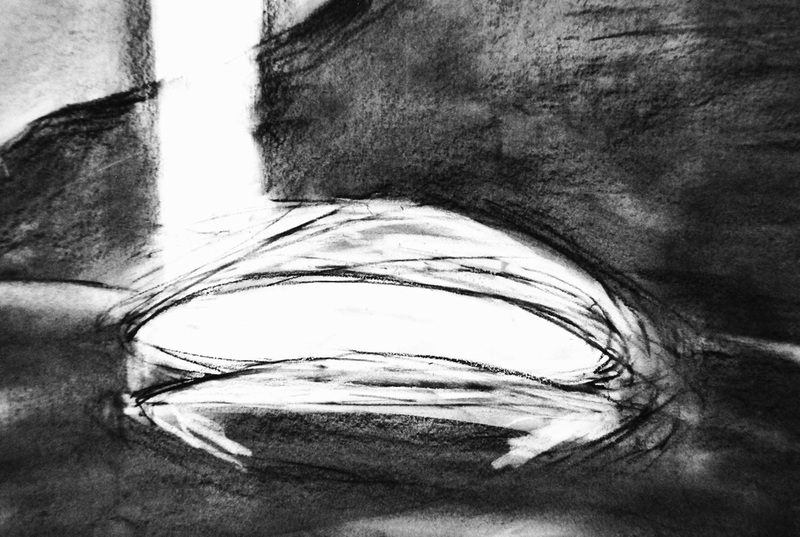 Following the synopsis, you will find thumbnails and pics of the many conceptual maps, drawings and sketches I have done, or had done by much more talented artists. You will find out about those people in the credits. Speaking of credits, I created the cover image below using an oil painting I completed when we were living in Bolivia. A renowned archaeologist finds three books, so tiny that they can only be read with the help of a microscope. Paleopeople is the story written upon the pages of the first of those books. Paleopeople are tiny. They live under us, in caves connected by tunnels. They reside in fossils; clamshell houses, spiral shell buildings and the like. The surface of their rocky world is covered in green moss, colorful fungus, and slimy molds. They farm falfa grain and mushroom trees and waterberries to eat. They ride spiders to move about the caves and tunnels, and sail ships of floatrock upon inland seas and rivers. Fearsome creatures live beneath the sand in the Dunes of Desiccation and in the lightless tunnels. The source of the light, which emanates from the ceilings of the caves, is the greatest mystery and the principal cause of conflict among the Paleopeople. To the Lumen Society, the light is provided by the Master and the gods that he represents. To the Academy of Light, the source of the light is not god-given; it is simply not yet explained. The conflict over the source of the light has boiled over. The Lumens have allied with the carnivorous Troglas to take over Fracture Valley. Professor Berta has uncovered the plan and has called upon Beni Corta, his star pupil, to help. They develop a plan of their own to fight the Lumen menace. The old professor sets off alone on a long journey across the plains of Fracture Valley to seek an audience with the Master. He hopes to resolve their differences peacefully, to perhaps plant a seed of doubt in the minds of the Lumen faithful, knowing full well that he may never return to his beloved Academy of Light. Beni and his best friend Tando Mara set out in the opposite direction, for Worm Tunnel and on to Crag Forest and the Great Wasteland. They cross the Dunes of Desiccation and beyond, into the unknown, and discover the Land of Aeolia in the far reaches of that barren desert. Beni is reunited with his father, the ruler of Aeolia. The new Prince will now lead a vastly outnumbered Aeolian Army into battle against the Lumens and the Troglas. The battle for Fracture Valley and the Academy of Light has begun. PALEOPEOPLE is the first of a trilogy. This is a charcoal sketch by my son, Kieran Lyons. 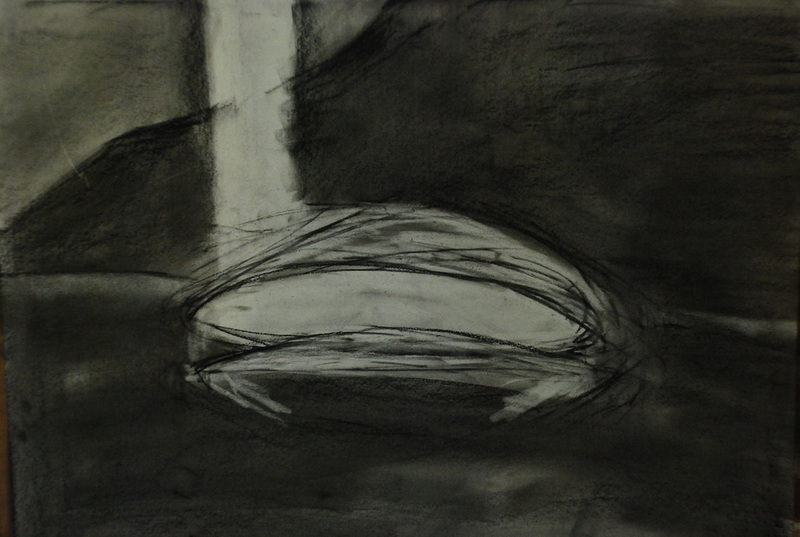 It is a conceptual drawing of a clamshell house with a waterfall behind it. Beni Corta lives on an estate high upon the flanks of Mount Stalar, overlooking Fracture Valley. Imagine several of these on the estate, add some glass to the panoramic window, and imagine various rooms inside. The waterfall in the background would be Corta Falls, which can be seen from the most vantage points in the valley below. This is an unfinished oil painting I started a long time ago. 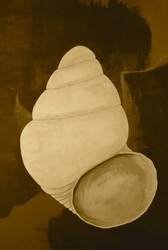 Spiral shells are important structures to the Paleopeople. They are the modern equivalent of office buildings. The Academy of Light is comprised of many of these, housing the various schools. Imagine windows here and there on each floor. 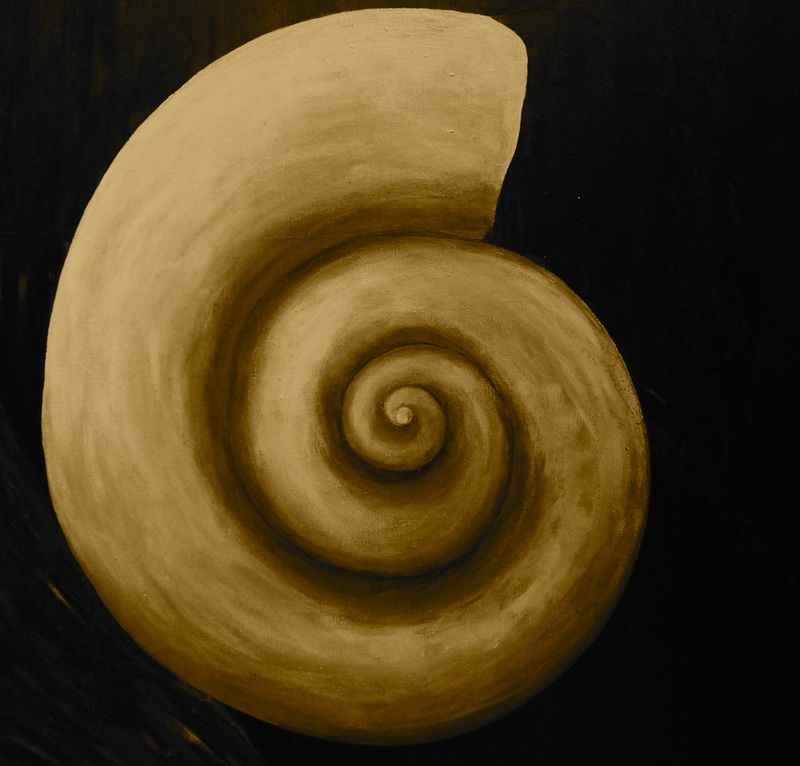 Some spiral shells have twenty or more floors. 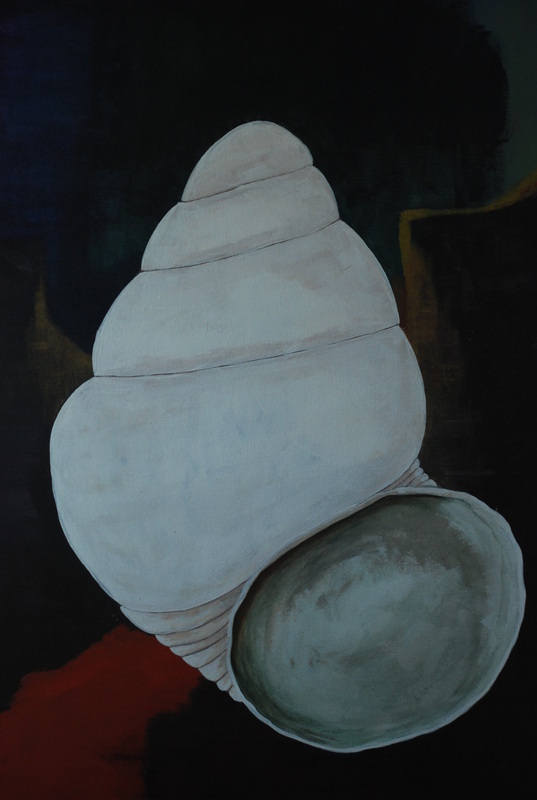 Another shell I painted (acrylics). I photo-shopped the color out and gave it an antique look. Try to imagine all the different geometries of shells and all of the uses the Paleopeople would have for them. 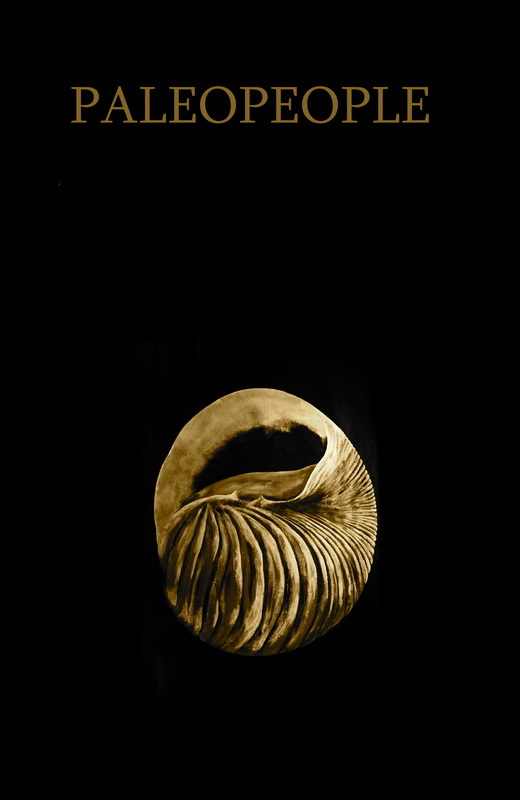 For instance, the Aeolians use fossilized sand dollars as floors and roofs of homes and buildings and (propped up on their sides, partly buried in the sand of the Dunes of Desiccation, side by side) as walls tall enough to bar their enemies entry - their primary enemy being the carnivorous Troglas.